THE BAKKIE war is in full swing now that Toyota has upped the game in its top-selling Hilux range. Following the launch of the Dakar Limited Edition – with its new bold, square face – the Japanese carmaker is now tweaking the rest of the Hilux line-up too. Not only has the Dakar nose been transplanted to the Raider and SRX but a new entry-level workhorse has been introduced too. SRX and Raider models get an equipment upgrade to match the outside upgrade. SRX gets an infotainment system and reverse camera accessed though a touchscreen display. Other features in the 2,4 GD-6 SRX version are 17-inch alloy wheels, air conditioner, electric windows and a range of safety features such as three airbags with driver kneebag, traction control and trailer sway control. This version can be bought with a six-speed automatic gearbox and rear-wheel drive system. The 2,8 GD-6 Raider gets a new full-black interior which is based on the Dakar edition. It includes black headliner and metallic-black interior trim. There’s also a reverse camera accessed by the touchscreen display as well as DVD playback, 18-inch alloy wheels, automated climate control, cruise control, a leather steering-wheel and seven airbags. 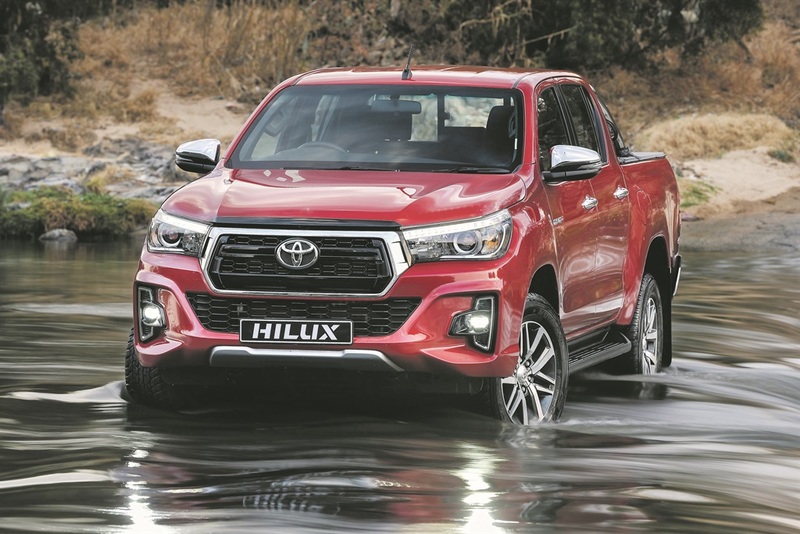 There is some good news on the more affordable end of the range too as the double cab Hilux is now available in entry-level S guise with a 2,7-litre petrol or a 2,4-litre GD-6 diesel engine. The entry-level S grade model is a heavy-duty Hilux workhorse that stripped out comfort and luxury specification for usefulness. The 2,4-litre GD-6 diesel SR was previously only available as a 4x4 but now comes as a 4x2 too. Toyota offers more versions of the single cab and Xtra cab versions too – including more versions with automatic gearboxes. All Hilux models come with a three-year/100 000km warranty with a nine-service/90 000km service plan is standard on all models.